Mobileye, a supplier of vision-based sensor chips for self-driving cars, has cited concern over the reputation of autonomous technologies following the ending of its supply deal with Tesla, likely due to the fatal crash involving a Model S in May. The developer of vision-based advanced driver assistance systems announced the end of its relationship with Tesla in its second quarter conference call today, following an earnings report that beat analysts’ expectations. 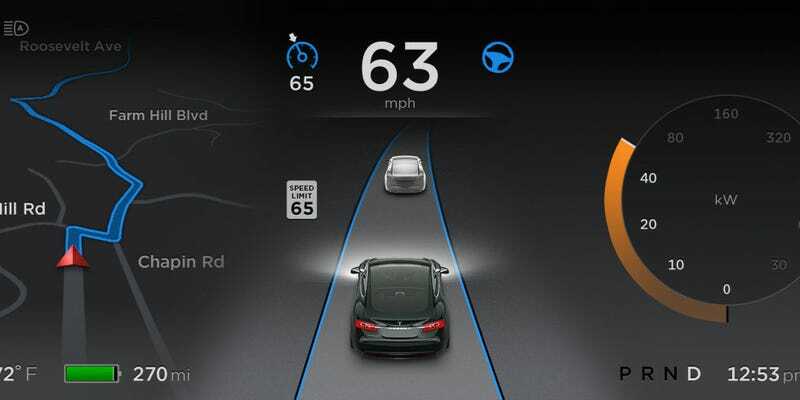 Mobileye cited concern over the negative perception of autonomous technologies attributed to Tesla as part of its reasoning for ending future development with the automaker, which is likely a reference to the death of Joshua Brown in a Model S using Tesla’s Autopilot driver assistance system earlier this year. It’s unclear which company ended the relationship, but Tesla CEO Elon Musk claimed that Mobileye’s arrangements with other automakers prevented it from keeping pace with Tesla’s needs. Mobileye previously only acted as a supplier for Tesla and was not involved in the company’s development of autonomous capabilities, but it is working closely with Intel and BMW on bringing a fully-autonomous car to market by 2021. Musk claimed there would be no effect on Tesla’s plans and that Mobileye would continue to “support and maintain” the existing Autopilot program. Following the announcement of the end of the relationship, Mobileye’s shares dropped by ten percent, but the company looks to expand its partnerships with other automakers like BMW going forward. H/T to Andrew Del-Colle on Twitter.